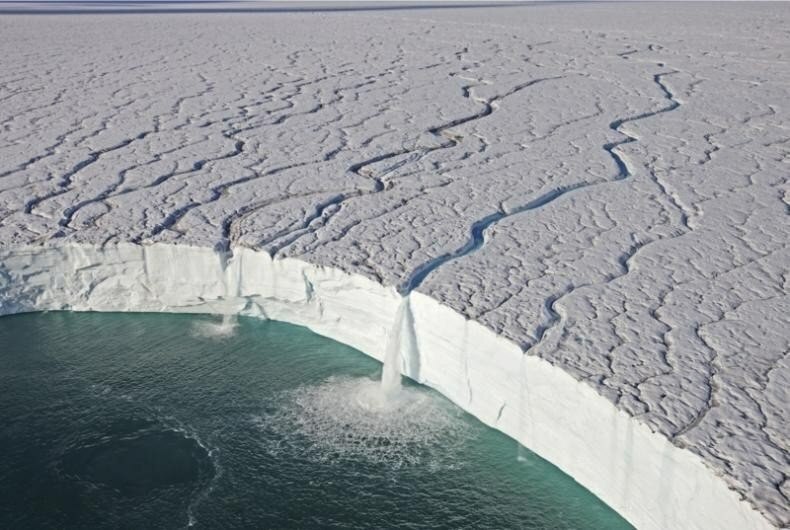 In the ten years since 2003, Greenland has melted 2700 gigatons of ice, which is 7.6% more than predicted. According to scientists from the State University of Ohio in the United States, a mantle plume (hot mantle flow moving from the base of the mantle from the Earth’s core, regardless of convection currents in the mantle) is fueling the volcanoes of Iceland and warms the surface layer. Because of his actions, researchers tend in the calculations. Error scientists equivalent to 200 gigatons of ice per year, although, in their opinion, this figure is not so critical. But scientists have to change the calculations. At the moment, monitoring of the Greenland glaciers is by means of satellites, which data is converted into a computer model of the ice island.